Director’s Message Looking forward to summer and beyond! Summer is upon us and with it brings exciting news of a playground coming to Nealon Park. Construction of the new playground is expected to begin in mid-April with a ribbon cutting ceremony planned in late June. The Nealon Park Nature Play Area, an All Abilities Playground will be the first of its kind in Menlo Park and will provide hours of enjoyment. Interested in advertising in our next activity guide? Call 650-330-2200 for information. Register online at www.menlopark.org/registration. Online registration is available 24 hours a day and 7 days a week for your convenience. You can mail any completed registration form to: Community Services Department 700 Alma St., Menlo Park, CA 94025 Registration forms can be faxed to 650-324-1721 if you are paying by credit card. We accept walk-in registrations M–F, 8:30 am–4:30 pm. Visit us at the Arrillaga Recreation Center, Arrillaga Family Gymnasium, Gymnastics Center, Onetta Harris Community Center, or Senior Center to register in person. REGISTRATION HINTS & POLICIES We accept VISA and MASTERCARD. Be sure to include proof of residence (utility bill, CA driver’s licence, or California ID). Drop-off registration forms are processed randomly. Non-resident registration forms dropped off early will be held until the first day of processing for non-residents. Returned checks will be assessed a $30 service fee. Walk-in registrations receive priority over fax & mail-in registrations. Choose an alternative class in case your first choice is full. Anyone under 18 must be registered by a parent or guardian. Class participants who do not meet the skill level or age group of a class, may be changed to a more appropriate class. Community Services Department reserves the right to change schedules and fees. Please see our refund/transfer form for more information regarding refunds, transfers, and quality assurance. Quality Assurance We guarantee 100% satisfaction with all of our programs and classes. If you are not satisfied for any reason, please contact us immediately. We will make every attempt to meet your expectations or will provide a refund or credit. You must notify us before the end of the class session to receive a refund or credit. Online Customer Credit for Classes You can process your own credit online and place the class fees on your City of Menlo Park Citizen Account for future use. The credit must be processed at least 48 hours prior to the start of the first class session. To request a credit: 1. Log into your citizen account and view purchases. 2. Select the transaction you want the credit for. 3. On the Purchase Receipt page, click “Process Credit”. 4. On the Process Credit page, click the green “Process” button. Once complete, your funds are available on your account for use the next time you are ready to register for a class! Campers experience fun-filled mornings of making new friends, arts and crafts, library adventures and games. ALL participants must be able to use the restroom independently. No program on 7/4. Mini Madness campers will experience days of outdoor games, sports, education, cooking, arts and crafts, swimming, and field trips. Our Recreation Leaders will make sure to give your camper the opportunity to make new friends, learn a new skill, and have a positive experience while in attendance! Extended care option from 4:00–6:00 pm is available for an additional fee. No program 7/4. This program is for students who are entering 6th-8th grade who are interested in working for the benefit of the community. There is a balance of work and fun in this unique program. Camp runs for two week sessions and includes transportation and fieldtrips. This Camp will help build character, as well as teach traits such as caring, problem solving, responsibility, and self-discipline. Children may be dropped off at either Menlo Children’s Center or Onetta Harris Community Center (OHCC). Transportation to OHCC will be provided by summer staff. *Subsidized rates for those that qualify based on family size and income. Grab a friend and head on over to Dance Expressions this summer! We have a GREAT selection of camps and classes that are sure to keep you COOL during the heat! It’s a party and you’re invited! For more information, visit www.danceexpressions5678.com or email danceexpressions5678@yahoo.com. Join us this summer for a Tropical Beach Adventure! Get ready to have fun in the sun as we catch a wave and visit with some of our favorite friends! Come along as we dive down into Ariel’s undersea cave, set sail with Moana, and learn to hula with Lilo and Stitch! Each day we will work on the basics of ballet and jazz with time set aside for a daily arts and crafts project. We will also be going outside, so please have your child wear appropriate walking shoes. Pack a healthy snack each day. On the final day, family and friends are invited to an end-of-the-week performance held on Friday at 2:30. Don’t miss out on our Tropical Beach Adventure Camp! Pack up your knives and fire up the stove! This 5 day series has been engineered by our culinary professionals to give you the experience of what is like being a bona fide culinary student in our kitchen classroom. From dicing to mincing, perfecting recipes, tapping into your creative senses, plating techniques, and many more, join us for a cooking series you won’t forget! A $50 Materials Fee is payable to instructor on first day of class. Children should bring lunch, a snack (no nuts), water, sunscreen, hat & provide notes specifying allergies (medical or food). Come and play with your new Robot friend! Campers are going to program Beebots robots and send them on fun adventures like going through a maze, navigating through a city and/ or adding and subtracting. This is a camp for beginner level. Campers will use sequencing, estimation and problem solving to program their robots. Plus, other activities during the program cover computational thinking exercises, studying the technology timeline & hardware. This camp is a great intro to Robotics. 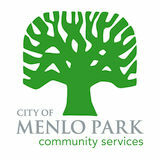 CITY OF MENLO PARK SUMMER EMPLOYMENT Developing leaders inside the organization The City of Menlo Park has fun parttime employment opportunities available within the Community Services Department. Visit our website in order to apply for a job or learn more about these exciting opportunities! GYMNASTICS Recreation Leaders ages 15+ and Instructor will oversee gymnastics programs. Our summer camp program is designed for beginning & young golfers that want to learn and improve their golf skills & focus on fundamentals of the game in a fun environment. We believe that the best way to achieve this is through on-the-course training. During our camp program, we close down our course to the public and dedicate our entire morning to your campers. Each day our counselors will bring your camper to different areas on our course that will enrich their golf skills in fun new ways. Your camper will learn the proper techniques for putting, chipping, full-swing, as well as the rules & etiquette of golf. Hot lunch is provided at noon each day. On the final day of the camp session, each camper will receive an Emerald Hills Golf Course tee-shirt, & a certificate of passing the Emerald Hills Golf Course School of Golf. Questions call/email 650.368.7820 or jrgolf.ehgc@gmail. com. Bring your own equipment or rent clubs at Emerald Hills Golf Course ($20 week long rental). After our golf camp each day, we also offer an Aftercare Program that runs from 12:30 PM to 5:00 PM. 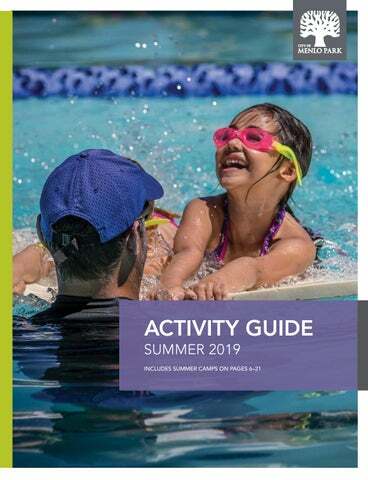 Campers enrolled in this program will have the option each day to choose to play a full round of golf on our course or go swimming at our pool (with lifeguards on duty). At 3:15 PM, all campers join up once more on our Pro Shop deck for 20 minutes of snacks. After this is free-time to relax in the Pro Shop area or practice their golf skills in the golf practice area. Spend a week enjoying the world’s most popular sport in a fun, recreational environment. Learn and practice core soccer skills like dribbling, passing & receiving, shooting, defense, teamwork and sportsmanship. Everyone is a winner as the week’s fun culminates in an age-appropriate “World Cup” tournament. All campers will receive a Kidz Love Soccer Jersey. Campers should bring a full water bottle and a healthy snack. ALL PARTICIPANTS MUST WEAR SHIN GUARDS. Soccer shoes and sunscreen are recommended. For details, visit www.kidzlovesoccer.com. Hi-Five Sports Camp is back in Menlo Park! Camp will focus on the core team sports - basketball, baseball, flag football, soccer, floor hockey, and more. We’ll work on the key fundamentals and facilitate competitions in each sport throughout the week - culminating in a series of championship games Thursday and Friday. Catered lunch will be extra for Monday through Friday, email Joe@hifivesports.com. For details, visit www.hifivesportsclubs.com. Challenge yourself and build self-confidence with a focus on safety, fundamentals, conditioning and technique. Each day includes skateboarding lessons, education, snack time, and game time. Skateboards and helmets are required and safety pads are strongly recommended. Parents must sign waiver form with registration. Bring a water bottle, snack, skateboard and helmet. Society t-shirts will be provided. Don’t spend your summer break on the couch, get out & PLAY TENNIS! Serve love all summer break at tennis camp with Euro School of Tennis Camp! In our Tennis Camp every day you get a chance to learn some serious tennis skills, compete in a fun, safe environment with students at your level, & smash those balls right over the net again & again. It’s the kind of fun you can only have on a tennis court, so don’t miss out! No matter what your skill level, we have a group for you. Learn a new sport or improve your game. It’s certain to make a fun-filled summer time experience you won’t soon forget. Sign up TODAY! No Class 7/4. Want to design your own skateboard just like the pros? Well, Now You Can! With the Create a Skate Program, campers will not only discover how skateboards are made, but also create their own. All this wrapped up into an immersive creative arts experience that meets S.T.E.A.M standards. Art program only: $35 material fee gets a custom designed deck. Art and Skate program: $85 materials fee gets a complete skateboard with all components ready to ride! Hot Shot Tennis is a fun introduction to the great game of tennis and is played on a smaller court, using soft tennis balls, making it easier. Classes will be a combination of basic fundamentals, drills and fun games. Jim keeps the class moving and Hot Shot Tennis has been a big hit with the kids! Note: The tennis court at this time is mostly shaded by trees. Shoreline Lake Camps For each camp, students should bring comfortable clothes, a bathing suit, a jacket or fleece, a towel, lots of sun protection, a lanyard to secure their glasses, a bottle of water, and required non-skid/non-marking shoes to wear while on the boats and boards (they will get WET – tennis shoes, aqua socks, or Teva sandals are ideal). No flip-flops allowed. Students should be at ease swimming and treading water. It is a good idea to bring a snack or extra money to see your camper through the day. Lunch catered by Shoreline Lake is included with all camps. Extended care available for purchase the first day of camp. All camps are held at the Shoreline Lake Boathouse located at 3160 N. Shoreline Blvd. Mountain View, CA 94043. For more information, call (650) 965-7474 or visit our website at www.shorelinelake.com All camps are held at the Shoreline Aquatic Center: 3160 N. Shoreline Blvd., Mountain View, CA 94043. Hands-on course whereby students are broken into small teams and introduced to the fundamentals of both of these fulfilling and rewarding lifetime sports. Learn board and boat handling basics, water safety, rigging and de-rigging as well as knot tying. Additional topics covered include jibing, tacking, upwind sailing, helmsman communication, docking, and setting a basic sailing course. Daily on-the-water sailing exercises progressively develop each essential skill. Get ready for some serious dancing fun! Grab a friend and head on over to Dance Expressions this summer! We have a GREAT selection of camps and classes that are sure to keep you COOL during the heat! It’s a party and you’re invited! For more information, visit www.danceexpressions5678.com. See you on the dance floor! Join us for this lively & upbeat class. Students will work on foundational skills (e.g. pirouettes, leaps, etc.) & choreography in a supportive and encouraging environment. All levels welcome! Dancers and parents will learn a variety of creative hip-hop style movements, rhythms and steps to age appropriate music. Children will foster creativity, freedom, expression in movement, and a love for dance with the involvement of their parents in this development process. Hip Hop is a fast, high energy type of dance seen in music videos and commercials. No class 7/7. Euro School of Tennis Enjoy superior tennis instruction from the talented staff of the Euro School of Tennis. For more information, call 510-491-3007 or visit www.EuroSchoolofTennis.com. Have fun and learn tennis basics at the same time with our Pee Wee Tennis sessions. Our program offers your small tennis star a fun introduction to the game in a setting that’s perfect for their learning abilities. We use low compression red balls to help your child learn the fundamentals. From strokes and movements to the motor skills they will need to move forward as they grow, we make certain they learn in an environment that works for them. Wear tennis shoes and bring a tennis racquet size 19 or 21. Ready to help your children develop a passion for the sport of tennis? Our Teen Tennis Stars program is the perfect way! Designed for ages 9–14 with little or no tennis experience, we focus on having fun with the game while learning the fundamentals. By session’s end, they will be skilled at hitting the ball with consistency, allowing a quick game with you or any player. Wear tennis shoes & bring a tennis racquet size 25 or 27. The City of Menlo Park offers high quality childcare programs at MCC and is licensed by the Department of Social Services (License # 414002020). a parent group that builds a community from within. Our play-based philosophy ensures children may explore the environment freely and discover the world around them at their own pace. Our fun, age-appropriate, curriculum promotes self-expression and self-discovery. Our warm and nurturing teachers provide opportunities for each child’s social development skills to strengthen which helps build life-long relationships. Get Started On Your Path To Success TODAY At Menlo Park’s #1 Martial Arts Academy! Wee Warriors: Ages 3½ - 5* Mighty Mites: K - 1st Grade* Kids & Families: 2nd Grade and up* Teens & Adults* *Some restrictions may apply. Participate in soccer activities designed to develop large motor and socialization skills. The fun happens on the field– you won’t want to watch from the sidelines. Each child will receive a KLS soccer jersey. Analytical Robotics EV3 Programing We work with children to build a broad range of robotic configurations, learn to program & command the robot to explore, conduct experiments, & use innovative engineering and design processes, while learning and applying the latest technology – self-driving cars, drones, biomedical, sports and performing arts. Come and try the violin! Suzuki method is combined with Western teaching methods to provide a strong foundation for playing the sophisticated instrument! Your child will be enjoying the beauty of the instrument! Non-refundable material fee $25 due on the first day. Violin rental available $20. In this beginner class for kids, the focus will be on learning basic skills and techniques for the instrument. No former musical knowledge required. Please bring your own Ukulele with a non-refundable material fee of $25 to the first day of class. This beginner class for kids will focus on learning basic skills and techniques for the instrument. No former musical knowledge required. A non-refundable material fee of $25 is due to the instructor during first class. Please bring your own guitar. CONNECT WITH US Encouraging innovation, resourcefulness, and sustainability #menlopark @MenloParkCommuntiyServices @MenloParkEvents Get the most current information on events and programs occurring in Menlo Park. Subscribe to NotifyMe and receive e-mail and/or text updates on the things you want to hear about most. You can also connect with us on Social Media to learn about upcoming events, volunteer opportunities, recreation jobs, last minute program adjustments and to share photos. Visit www.menloswim.com and find your program for details and a link to our online registration system. You may pay for drop-in programs at the front desk and get assistance with registration in person from our Service Center during hours of operation. The facility features two mixed-use pools and a baby pool, and includes locker rooms and showers, a central lobby area, Pro Shop, picnic tables and shade under the oak trees. Visit our facilities information web page for pool temperatures, conduct, and safety rules. DIAPER POLICY: You must use both a disposable swim diaper and reusable diaper cover for children who are not fully toilet-trained (available for purchase at the Pro Shop). Menlo Swim and Sport offers several Blended Learning Lifeguard Courses and Lifeguard Review courses throughout the year. To become certified as a lifeguard, you must complete approximately 20 hours of in person training, 7 hours of eLearning and pass practical and written exams. To enroll, you must be 15 years old (by the end of the course) or older and possess a valid photo ID. The prerequisites include a 300 yard swim, 2 minutes of treading water using legs only, and completion of a timed event. Upon successful completion of class participants will be certified in Lifeguarding, CPR for the Professional Rescuer and First Aid. All certifications are valid for 2 years. Visit www.menloswim.com to register. Open to the community 7 days/week with lifeguards on duty at all times during open swim. No registration required. When visiting, you will receive a wristband good for the entire day. Lap Swimming: M–Th: 6:00 am–8:00 pm F: 6:00 am–7:00 pm Sa: 10:00 am–5:00 pm Su: 8:00 am–5:00 pm Non-Summer Season: (Monday, 9/3–April 2020) M–Th: 6:00 am–8:00 pm F: 6:00 am–7:00 pm Sa: 10:00 am–4:00 pm Su: 8:00 am–4:00 pm Baby Pool: Closed until Spring 2020! Adults (18+): $7 Resident/$8 Non-resident Youth (17 & under): $5 Resident/$6 Non-resident Family*: $17 Resident/$20 Non-resident Seniors (65+): $6 Resident/$7 Non-resident *A family is up to 5 members of the same household with a maximum of 2 adults. TENNIS Menlo Swim & Sport is proud to announce our partnership with Kim Grant Tennis Academy to provide tennis lessons for all ages in the Menlo Park community. Our partnership strongly believes all children should have an equal opportunity to explore their talents and motivations through sports. There is one central element to everything we do with our Junior students: to teach and inspire. That’s it! That is the heart of a great tennis instructor. We teach your children do develop their tennis talent and inspire them to foster their motivations; both in tennis and in life in general. Whether your child is interested in tennis recreationally, aspiring to become a professional player, or anywhere in between, we are committed to helping each student get the most out of their tennis experience in a fun and positive environment. We do not measure our success as an organization by the number of trophies our students win or by the number of children that are enrolled in our classes. We measure our success by the number of smiles on their faces, by the sportsmanship shown to competitors, by the positive remarks about our Coaching Staff and by the motivation to improve as a player and a person. Below are some of the basic tenets that are ever-present in our Junior lessons we have to ensure your children are getting the most from their time with us: Customization – students learning at their own pace Engagement – plenty of physical movement Challenge – promoting risk taking & experimentation Camaraderie – students motivation one another Laughter – students enjoying themselves and their classes! Please check our website: www.menloswim/tennis.com for more information on dates, times, levels, coaching and prices. Adult Programs at Burgess Pool LAP SWIM Lanes are dedicated to lap swimming in the performance pool and the instructional pool year-round with a lifeguard on duty at all times. The number of lanes available varies based on scheduled activities. Student & senior discounts available, please call the Service Center at 650-781-5525. Student, senior and additional family member discounts available, please call the Service Center at 650-781-5525. RECREATION THERAPY Recreation Therapy is using recreation activities as purposeful tools of intervention to help achieve a specific goal. This is done through four basic steps: Assessment, Planning, Implementing and Evaluating. This program considers each participant’s unique interests and creates an individualized program that is effective and enjoyable. Contact our Recreation Pro: Jenna Holden via email at jenna@menloswim.com with any questions. Pricing: $125/hour *Discounted group & package deals available on a case by case basis. Full-service multisport team with group coaching and training to athletes of all levels and ages in a welcoming, positive, and supportive, environment, offering a weekly schedule of swim, bike, run, and strength workouts. Start with Entry Level Triathlon or hop right into our competitive group. Come try a workout and find out more at www.teamsheeper.com. REGISTRATION Please visit www.bellehavenpool.com for details about our programs & register online. You may pay for drop-in programs at the front desk & get assistance with registration in-person from our Service Center during hours of operation. ¡Se habla español! All-In-One fitness package, with all-access capabilities for our most popular programs including Boot Camp and All-Terrain Runners. Student & senior discounts available, please call the Service Center at 650-781-5525. The facility features a 25-yard pool and a baby pool, locker rooms and showers. Outside, there are benches and lots of open space on the pool deck. Visit our website for pool temperatures, conduct, and safety rules. DIAPER POLICY: You must use both a disposable swim diaper and reusable diaper cover for children who are not fully toilet-trained (available for purchase at the Pro Shop). WATER SAFETY AND FIRST AID INSTRUCTION Menlo Swim and Sport regularly offers General First Aid, Lifeguard Certification, CPR for the Professional Rescuer, and Title 22 courses. These classes are open to the public as well as our own lifeguards and instructors to maintain required certification. Come join us and help our entire community become more safety trained and safety conscious! PARTY SPACE RENTAL Have a birthday party or special event at the pool! Sunday pool rentals available by request; $150/hour includes Open Swim admission for a group and 2 lifeguards, 2 hour minimum. 45-minute group lessons with trained instructors and flexible scheduling. Lessons available for all level swimmers, ranging from adults new in the water to competitive. Fees per month. Held by appointment. Private lessons with our experienced Water Polo Pro, Brenda Villa. Work on your fundamentals, your shooting technique or any area of the game you may want to improve on. Registration is not accepted over the phone; however, please call 650-330-2224 with any questions. Students are asked to wait in designated areas until directed into the gym by an instructor. Girls should wear a leotard or shorts and a T-shirt, long hair must be tied back, and no jewelry should be worn. The Menlo Park Gymnastics Program is a fun, comprehensive, educational, recreational, and developmental program for gymnasts of all ages. Classes are held at the Arrillaga Family Gymnastics Center, Monday through Saturday. Our purpose is to teach Children First, Gymnastics Second, and Safety Always. Our mission is to create a class in which children experience the joy of movement, have the opportunity to make new friends, and learn skills that apply to gymnastics and other sports. Please see â&#x20AC;&#x153;Registration Informationâ&#x20AC;? on the page after the table of contents. A $9.00 mandatory insurance fee per student is included in the session fee. A $4.00 equipment fee is included in each registration, the fee is used to directly purchase equipment for the Gymnastics facility. A $10 fee is also included for a t-shirt that will be given to each participant this session. HELPFUL INFORMATION Please have your child arrive at the time of their class and please pick them up on time, we are not equipped to care for your child before or after class. Due to the nature of our developmental program and the fact that most classes are at maximum enrollment, absolutely no make-ups or trial classes will be allowed. No students allowed on any equipment until a coach is present. Boys should wear shorts and a T-shirt or sweats. Shoes, socks, and all personal belongings should be left in the cubbies. Absolutely no food, drinks or gum is allowed in the gym at any time. Parents are welcome to observe classes from the viewing area. Only Kindergym or KinderStars parents are allowed on the gym floor. Adults in these classes are respectfully asked not to use their cell phones and stay with their class. No flash photography in the gym at any time. Please make every effort to have your child arrive for class on time and prepared to participate. You are allowed 2 make ups for missed preschool classes. You must call the front desk at 650-330-2224 to schedule them. No class 8/23 & 8/24. A non-parent participation class, allowing students to develop independence. Students will be guided through games, gross and perceptual motor activities and practice taking turns and following directions. Children experiencing difficulty with separation may be asked to join a KinderStars class. No class 8/23 & 8/24. MiniStars are introduced to various skills, some to be mastered, & others requiring more strength. Practice turn-taking & following a series of directions while focusing on balance & coordination. MiniStars is a non-parent participation class. No class 8/23 & 8/24. As students’ tactile and physical strength improves, more complex gymnastic skills can be introduced. Levels A–C are fitnessoriented in a gymnastics-specific curriculum, encouraging lifelong physical and mental well-being. Gymnastics provides unparalleled challenges for the body, mind, and spirit. By meeting challenges, children continue their development toward becoming confident, fit, and able adults. Please do not sign up your child for a higher level unless they have been recommended to do so by their instructor. No class 8/23 & 8/24. Prior experience is required. Prerequisite skills: forward and backward rolls, cartwheel, and kick over on bars. No class 8/23 & 8/24. Welcome to Aerial Arts in Menlo Park. We offer group classes teaching a variety of aerial skills including aerial silks, trapeze, aerial rope, and partner acrobatics. Our classes teach performance arts through aerial dance and ultimately to prepare the student to become professional aerial artists. All students will be required to sign an agreement regarding safe conduct, correct attire and etiquette. All new students will begin at Level 1 and move to the higher level when the instructor recommends it. Students should be expected to take at least 3 sessions at each level before advancing to a higher level. Appropriate attire and hair tie are required. SILKS & ROPE: long-sleeved leotard and long leg cotton leggings or footless tights with cotton shorts. TRAPEZE: long sleeved leotard, long leg leggings and thick socks. HAIR STYLE: high head pony tail (medium / short hair), ballet bun (long hair) and snapping clips to keep hair away from face and forehead. Students are required to have very, very short finger and toe nails. A nail check will be run every week in class. No jewelry, watches ornaments or FitTrack devices. Please come to class with clean, washed hands and feet. Recommended supplier: Dancer Dejour, 1927 Menalto Ave., Menlo Park. To request the Circus Arts Program, and Class Requirements and Conduct email fliris84@gmail.com. This class is suitable for kids and adults who have successfully passed Level 1. This class will focus on body posture and clean lines. There will be more emphasis on flexibility, climbing endurance, drops, and sequencing of moves. No make-up classes, except in case of instructor cancellation. No more than 3 drop-ins per session. Class max 5 students. $10 materials fee due to the instructor first day of class. This class is designed for those students who successfully passed Level 2. Class follows the principles of the aerial dance, focusing on body posture and flexibility, moving into more complex climbs and sequences, dynamic tricks and drops, challenging poses and wraps. Class suitable for kids and adults. No make-up class, except in case of instructor cancellation. No more than 3 drop-ins per session. $10 materials fee due to the instructor first day of class. Class max 7 students. No class 8/23. Class is focused on individual students’ needs: building stamina, expanding aerial moves library, working on selected moves by request, building better technique. Advanced conditioning, advanced aerial moves and routine review are main contents of this class. Class is suitable for kids and adults, who have successfully passed Level 3. No more than 3 drop-ins per session. No make-up class, except in case of instructor’s cancellation. Class max 5 students. $10 materials fee due to the instructor first day of class. Students with some aerial experience learn how to create and work on their own repertoire, train and choreograph their routines. A separate set of classes, open for people, who would like to learn about improvisation, acting, building a choreographed routine from scratch as well as to improve the shape and learn to build unique content safely in accordance with music and theme provided. Offered on month-by-month sign up basis. $10 materials fee due to the instructor first day of class. Class suitable for kids and adults. Class duration 1 hour. No more than 3 drop-ins per session. No make-up class, except in case of instructor cancellation. Class max 5 students. Students will have the opportunity to review what they have learned on silks, trapeze or floor (i.e. acrobatic partnering skills). $10 materials fee due to instructor first day of class. MIDDLE EASTERN BELLYDANCE Learn the sensuous movements of this ancient art form while building strength, flexibility and stamina. Bellydancing is for all ages and body types! Cover basic bellydance muscle isolations and dance technique, using music and movement from Egypt, Turkey, Iran and North Africa. Wear bare feet and loose, comfortable pants or a full skirt (bare stomach optional). $15 drop-in fee, $10 for advanced classes. PERSIAN DANCE Move to the rhythms of Persian music. Classical miniature & regional folkloric dances will be presented. Movements vary from tribal & upbeat from the south of Iran to delicate, graceful arm movements. Nourish your soul & connect to an ancient culture with the beautiful art of Persian dances. $20 drop-in fee for first time students only. For more information, visit persiandancing.com. “GOTTA DANCE!” FOR FUN AND CREATIVE FITNESS Learning jazz technique improves your body awareness and enhances many aspects of your life. Jazz is all about dancing from your ”center” while you balance, stretch, kick, turn, contract, extend, perspire & move through space with freedom and fluidity. You will learn fun combinations danced to a variety of music. Come see & feel what it’s all about & dance your way to a healthier more fit YOU! We have a few performance opportunities throughout the year if you are interested! Mon & Wed 10:00-11:30 am. Adult Classes CARDIO STRENGTH COMBO A combination of cardio and strength for total body fitness! Designed for all fitness levels, this workout alternates timed intervals of aerobic exercise and resistance training, including core strengthening. The perfect class if you’re looking for a great cardio AND strength workout, but want to avoid dance or boot camp style cardio classes. Take as a stand-alone class (Wednesday only) at the standard rate, or at increasingly discounted rates in combination with one or two Group Strength Training classes (see note). $15 drop-in fee. For details, contact fitstart@gmail.com or visit www.menlopark-fitness.com. NOTE: Registration in Combo Plus One REQUIRES a separate concurrent registration in ONE Group Strength Training class. Registration in Combo Plus Two REQUIRES a separate concurrent registration in TWO Group Strength Training classes. Community Services JANE KELLAM’S ADULT JAZZ CLASSES “GOTTA DANCE!” FOR FUN AND CREATIVE FITNESS Learning jazz technique improves your body awareness and enhances many aspects of your life. Jazz is all about dancing from your ”center” while you balance, stretch, kick, turn, contract, extend, perspire and move through space with freedom and fluidity. You will learn fun combinations danced to a variety of music. Come see and feel what it’s all about and dance your way to a healthier more fit YOU! We have a few performance opportunities throughout the year if you are interested! Wednesday 10:00-11:30 am. JANE KELLAM’S BODY SHOP AND TUNE-UP This wonderful class starts with a total body warm-up leading into a fusion of ballet, pilates, yoga and strength training- a mixture that will not only make sense to your body but you will feel as though “no muscles was neglected” (even your laugh muscles). Using bands and tubing, handheld weights and body bars, stability balls, tennis balls and foam rollers- time flies as you look forward to a luxurious stretch and a quiet moment for yourself at the end of a good workout! Join today and tune, tone, and tighten your body. Everyone is welcome to the Body Shop! Monday & Wednesday 8:30-9:40 am. JANE KELLAM’S CARDIO DANCE AND SWEAT Dance, Laugh, and Sweat! This fun class is for people of all shapes and sizes who want to burn calories, strengthen their hearts and gain muscle endurance. Fantastic Music! Fun, easy to follow Dances! The class will lift your spirits and brighten your mood getting you ready to greet the world with energy. Quick core crunchers, chest and arm work and a nice stretch will round out the hour. Tuesday and Thursday 8:30-9:40 am. All classes are located at the Arrillaga Family Recreation Center. Taiji Chuan, is an internal martial art that cultivates power and relaxation. The Chen style encompasses both hard and soft aspects of taiji. Practice strengthens the core and improves posture and balance. Learn the Old Frame form from which Taiji Chuan originated. The beginning class will teach fundamentals such as correct posture and moving from the center. Push hands and weapons such as sword, spear, and Guan Dao are taught in the intermediate class. Sports ADULT VOLLEYBALL 1–BEGINNER-ADVANCED BEGINNER This player has little to no prior playing experience. Students will learn basic skills: passing (underhand and overhand), setting, spiking, and serving. Some team skills will also be covered but the focus is on individual skills. Depending on the experience level of students the offense evolves from 6-6, 6-3, to 4-2. Drop-in fee of $15.00 if space is available in session. Jim has been teaching tennis for the Menlo Park Community Center for over 20 years and is a USPTA Certified Tennis Professional. He was nationally a top junior and ranked #16 in Men’s Open Northern California. “I’m big on fundamentals, practicing with a purpose, a good workout and keeping it fun.” If the weather is questionable, call (650) 814-6734 one hour prior to the class start time. Weekends may be used for make-ups. Tennis shoes and racket are required. Note: Players may sign up as a drop-in through Meetup if the class doesn’t fill up though the Menlo Park registration. ADULT TENNIS 1: BEGINNER–ADVANCED BEGINNER For students just starting to play, or with limited or inconsistent playing experience. Beginners are welcome and encouraged to join! This class will work on basic fundamentals of all strokes, focusing on being able to rally, serve and working on playing a game. Students are welcome to practice after class. Take your yoga practice outside on the water. Your mat is a stand up paddleboard. Enjoy learning while adapting to the motion of the board, the continuous challenge to balance, the instability created by minor energy and weight shifts, and the focus required to ground while afloat. All levels welcome, no experience required. Dress in layers or swimsuit. No cotton clothing. Sunglasses recommended. Take the helm and “sail away” in your own 14’ long sloop! Learn the basics needed to get you out on the water, safely maneuvering your sailboat around the Lake. After completing the course, students receive certification to rent boats on their own. Includes a 1-hour private lesson to be scheduled following completion of the course. Swimsuit, change of clothes and a towel recommended. Bring sunscreen and wear closed-toe shoes (no flip-flops). BEGINNING DIGITAL PHOTOGRAPHY Explore photography and basic photographic concepts while learning your camera’s menus and function modes, metering, focusing, filters, flash, white balance, light, color and basic composition. Learn about portraiture, night shooting and printing. A one-hour private printing workshop the weekend of July 27 is included. Bring your camera, fully charged battery and instruction manual to the first class. A $40.00 materials fee is payable to the instructor. OLDER ADULT SERVICES Menlo Park Senior Center 110 Terminal Ave., Menlo Park Monday–Friday, 8:30 am–4:00 pm For information about programs or events, call the front desk at (650) 330-2280. The Senior Center will be CLOSED on 7/4, 8/26–30, 9/2. We create community through high quality social and recreational programs by which seniors feel valued, nurtured, and appreciated. We promote a healthy, diverse senior community and encourage cross-cultural interactions by building bridges through positive, multicultural and enriching activities. M–F, 12:00–12:30 pm Do you enjoy healthy, home-cooked meals? Come to Menlo Diner, located in Menlo Park Senior Center, for delicious food, great service, and a chance to meet other seniors from the community in a restaurant setting. Lunch fee of $2.50 for seniors and $5 for non-seniors supports the meal program. Come early because the food is so good, we almost always sell out! Thanks to Facebook for supporting the meal program at Menlo Park Senior Center. One of the gentlest forms of yoga available. Students perform postures and breathing exercises with the aid of a chair or if they prefer using a yoga mat. Take a deep breath and let’s focus on our inner peace in this class. Benefits include increased balance, strength, flexibility, range of motion, and stress reduction. Yoga Mats will be provided for those interested. Dominos, Billiards, Chess, Checkers, Puzzles & More! Looking for unique, handmade, beautiful gifts at reasonable prices? Visit our Senior Center’s gift shop and pick something irresistible from our selection. Shop hours are M–F, from 9:00 am–3:00 pm. Open to the public. Gift wrapping is available upon request. TRAVEL AROUND THE WORLD IN A DAY! Counselors from HICAP are available on the 4th Thursday of the month at Menlo Park Senior Center to offer valuable medical insurance information and comparison of policies you may be considering. Call 1-800-434-0222 to make an appointment. Drop in at one of our Hot Topic sessions and learn something new! Contact the Senior Center at 650-330-2287 for details about upcoming speakers. Why stay alone at home when you can socialize with new people, support your local senior center, and create community as a volunteer? Share your knowledge, motivate others, and have fun, too. We have a variety of volunteer opportunities that can be meaningful to you. Contact the Recreation Program Assistant at (650) 330-2287 for volunteer opportunities. Grab a cup of coffee and join this group that will help you through your life issues. This nurturing, relaxed, supportive men’s group offers advice and useful information. In collaboration with San Mateo Senior Peer Counseling, La Esperanza Vive. In Spanish only. Receiving a FREE bag full of groceries can assist you during difficult times & improve your nutrition. Second Harvest Food Bank operates its Brown Bag Program out of the Menlo Park Senior Center facility & is delighted to help. If you are a senior & would like to receive a bag, stop by and find out how to qualify. Menlo Park Senior Center’s Gift Shop is always looking for donations (gently used clothing for men and women, purses, hats, ties, trinkets, and shoes). Items can be dropped off during the Center’s business hours, 8:30 am to 4:00 pm M-F. Hold your next meeting or party at Menlo Park Senior Center! We have classrooms, WIFI connections, plus enough tables and chairs to make any event special. For rental fees, or applications, visit www.menlopark.org, stop by or call (650) 330-2283. Need help in maintaining your independence or finding community resources? We can refer you to services and support that address your needs. Bilingual in Spanish/English. Call (650) 330-2287 & ask for Airel. SENIOR CENTER SPECIAL EVENTS & LUNCHEONS Our special events and luncheons each month reflect the diversity of our members and celebrate special occasions throughout the year. Please join us! The Arrillaga Family Recreation Center offers rooms of various sizes for rent. Host your wedding, corporate meeting, birthday, or holiday event with us! Beautiful landscaped patios and full-size catering kitchen are available at a discounted rate when reserved in conjunction with a room. Rentals fee includes use of tables, chairs. The Arrillaga Family Gymnasium is available for rentals on an hourly, daily, monthly and reoccurring basis. The gym can be divided into 2 halves and there are 2 high school length basketball courts, 4 smaller basketball courts, 3 volleyball courts and 4 badminton courts. The Onetta Harris Community Center is a wonderful option for your next event. Our conference room is great for any meeting and our multi-purpose room is perfect for any personalized event! Don’t forget you can reserve our gym too! Rentals include tables, chairs, and use of our kitchen. Prices vary. The Menlo Park Senior Center, next to beautiful Kelley Park, can be the perfect location for your upcoming gathering, company event, or on-going meetings. Two classrooms, and a large ballroom can accommodate most events. Rentals include tables, chairs, and the use of our industrial kitchen. *Denotes lights available at respective facilities. The Menlo Park Community Services Department has state-of-the-art facilities and a variety of parks and open spaces offering various activities and services. To reserve fields, contact the Sports Department at 650-330-2220. The Burgess and Nealon picnic areas are available for reservation by visiting menlopark.org/facility reservations or by calling 650-330-2220. Tennis keys can be purchased at the Arrillaga Family Gymnasium. Forms, photos and more information are available at www.menlopark.org. For more than 70 years, Peninsula Volunteers, Inc. has provided innovative services and housing to support aging adults on the San Franciso Peninsula and in Silicon Valley. We impact over 5,000 households through our programs: Meals on Wheels Nutrition Services, Little House The Roslyn G. Morris Activity Center and Rosener House Adult Day Services. Meals on Wheels serves over 550 hot and nutritious meals daily to homebound older adults in San Mateo County who are disabled and /or cannot cook or shop for themselves. Little House provides services for adults of all ages with a focus on staying socially, physically and intellectually active; encouraging independence while staying connected to others. Rosener House is a therapeutic day program that promotes dignity and independence for older adults with Alzheimerâ&#x20AC;&#x2122;s and other chronic conditions; offering a positive option for seniors and their caregivers. Weâ&#x20AC;&#x2122;re Looking For Volunteers! Deliver meals to seniors in need! Mon - Fri 10 A.M. - 12:30 P.M. Schedule Lyft Rides for seniors Mon - Fri 8-10 A.M., 1- 3 P.M. OR Be the friendly face at our front desk! Mon - Fri 8:30 - 10 A.M.
SUMMER CONCERT SERIES PRESENTED BY FACEBOOK Wednesdays, June 12–August 7 6:30–8:00 pm Fremont Park 915 Santa Cruz Ave.
Tuesdays, August 13–27 6:30–8:00 pm Kelly Park 100 Terminal Ave.
Friday evenings, July 26–September 20 Burgess Park 443 Burgess Drive Bring a picnic basket, blanket, family and friends to enjoy a night of watching the stars, under the stars. *All movies listed are subject to change. Parental discretion is advised. Come dressed in red, white and blue! Decorate your bike or wagon and participate in this fun-filled people parade to Burgess Park! The parade is just the beginning! Enjoy our annual celebration with carnival games, jump houses, rock walls, crafts, face painting, food and more!